Gumdrop Swap is an online store that essentially allows you to consign online. It's a simple system to give you the opportunity to end up 'trading' outgrown clothes for new clothes. I've done consignment at stores and I've done large consignment sales, but this is the first online site that I've found using the same principals and practices that I've come to expect at kids sales and consignment stores. To swap, you must have a membership. A three month membership is $15 (about the same as I pay to consign at a large kids consignment sale). Once you are registered, you fill out a list (found online) to print and send with the clothes you are sending in. There is a 'gumdrop value' for each item (1 gumdrop = $1.00) and you mark how many of that type of item you are sending. If there is a problem (such as a stain or the clothing is too worn or outdated), you receive 1 gumdrop for that item and it is either recycled into a new outfit or donated to charity. For all of these items, I received 60 Gumdrops. It cost me about $11 to ship everything in a flat rate USPS box. I did check UPS ground as well and it was almost the same price. When the package of clothes arrives, the folks at GumDrop swap get back to you within a few days so you're not waiting a long time. I placed my order the same night I received credit on the site and my package was shipped out within 48 hours. Sweater for Rebekah, Beetlejuice of London NWT dress and smock dress for Rebekah and Abercrombie hoodie for Nathan. My total (including shipping) was 59 Gumdrops. I have one leftover for the next swap. 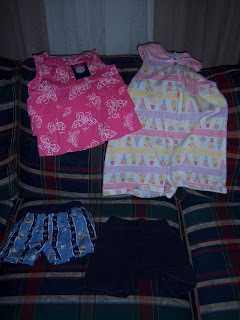 Out of all these clothes, one pair of pants was too small for Nathan, but the kids can wear everything else. That pair of non-fitting pants will go back to Gumdrop Swap for my next trade in. 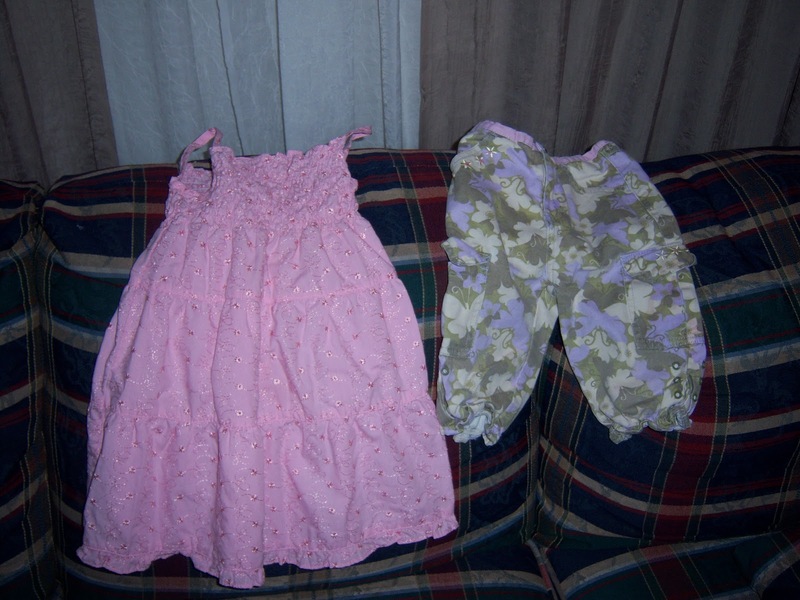 One of the benefits I found was the ability to purge out some of the kids summer clothes even though it was fall. Gumdrop Swap currently accepts all clothing (regardless of season) all year long. They also sell everything year round so when we travel to warmer places for Thanksgiving, I can order some outfits in their new sizes for the warmer temps--even in November. To recap, my total out of pocket for this would have been $25 plus 12 clothing items sent. 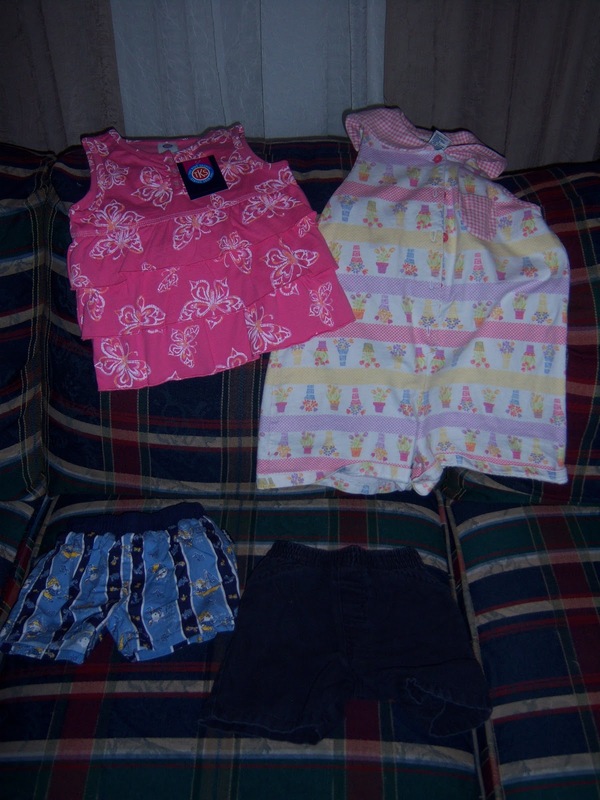 In return I got 8 articles of clothing (and one that I can return on my next swap for a total of 9 items) and my return shipping was paid for out of my gumdrops as well. When consigning, I usually am required to give 25-30% of my sales as a commission. So I mailed 12, got 9 and didn't have to pay shipping out of pocket (which is equal to another outfit or two for me). I honestly came out almost even. Bottom line: Do I think it was worth the effort to mail clothes off? Yes, I do. Especially if you have or need off-season items (like a swimsuit in fall/winter). For those who live where there are large consignment sales, it might seem a little unnecessary. I know that was one thought that crossed my head. I was happy to be able to swap out the items I couldn't sell at the local kids sale. It was nice to get it out of here and get things I needed right away instead of holding those items waiting for the spring sale to start. I found all the clothing I received to be high quality and free from all stains, rips, tears. While it was difficult for me to give up enough control to let somebody else pick colors and items for me, I was pleased with everything I received. If you'd like to learn more about Gumdrop Swap, please visit the Gumdrop Swap Blog, follow on Twitter or Facebook. Disclosure: This is a Business2Blogger review. I received a 3 month subscription for this review. I was not compensated in any other way. What are galoshes to you?